Get started on the diet and exercise program that has yet to reach your countries borders, the pelvic pillow diet. Not only can you do it yourself, but you also get your money back if things don’t work out. 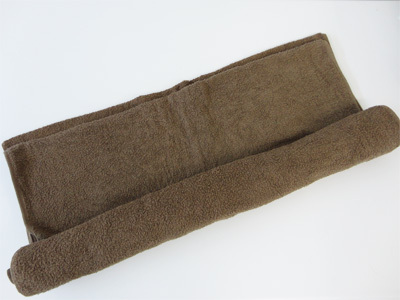 Everyone’s talking about the pelvic-pillow-diet made popular Japan. Learn do-it-yourself methods anyone can do to keep pelvic distortion from intervening with your health, diet, and exercise success. The areas you see benefits from correcting pelvic distortion are not limited to diet and exercise, but extend towards beauty - skin care - and general health as well. Many have resorted pilates and pelvic floor exercises to aid again pelvic distortion. Others have turned towards surgery, chiropractic treatment, and pelvic support belts or girdles. Although there are a lot of products and services being sold and put into practice today, what really has been taken into peoples eyes is the pelvic pillow diet. So, what is it, a diet or a pillow; and how can it help you get a more sound core. What is the pelvic pillow diet anyway? 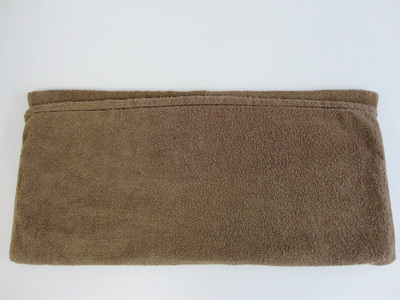 The pelvic pillow diet uses a long-narrow cylindrical pillow, similar to what a bath towel looks like all rolled up, to correct pelvic distortion. 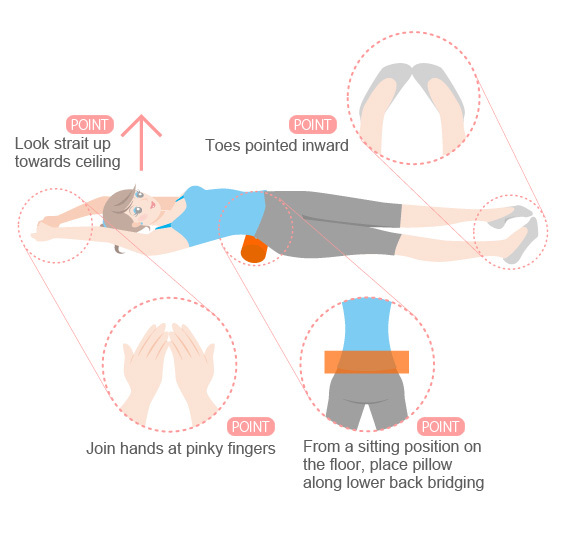 It is done by placing the pillow behind your back, right behind your belly button, lying down on your back, lightly stretching and holding for 1-5 minutes. For people just getting started it has been said to be difficult. That is why it is better to do 5 sets of 1 minute intervals until use to it. Gradually lengthen your holding time, doing fewer sets, until reaching the 1 set 5 minute mark. “That’s all!” you might be asking yourself now. Actually, the answer to the question you are asking yourself is “Yes!” How can this be, right? The though that just by laying down you can lose weight is unquestionably ingenious, which is why it’s so popular, spreading as we speak by word of mouth. The key points here are head positioning, fee placement, and bring your hands together the right way. The inflatable pelvic pillow accompanied pelvic pillow diet book and magazines dedicated to the subject can be bought online are at the bookstore if you happen to be in Japan. Not to mention the reasonably low price of 1000 yen (about $15 USD) it is the best way to get something out of laying around the house, which is maybe why it’s so popular. For those of you not able to get your hands on an authentic pelvic pillow, this next one is for you. We’ve found that it’s possible with little alteration to get the same effect using items lying around the house. It may not be what everyone else is using, but at least it may have your name on it – personalization. There you have it, a newly forged pelvic pillow waiting for it to be used at your disposal. 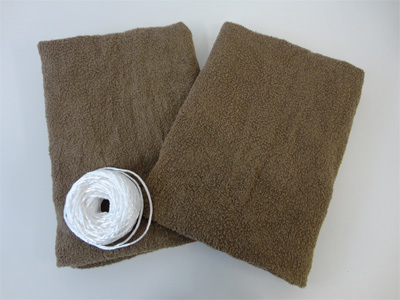 If your towel is not rolled up tight and you fail to bind it correctly, there is a chance it is likely to become unraveled upon use preventing you from getting the full effect of your pelvic pillow. 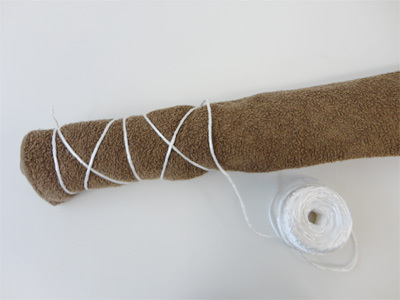 The key point here is to tightly bind your towels just as you would tying down camping gear getting ready to make a long deserved trip to the Yellowstone or the Grand Canyon. 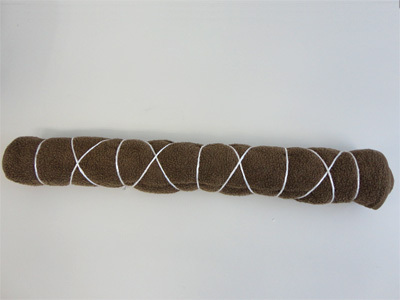 To do this it might be off some help to ask for assistance or do it in groups – have a pelvic pillow con. If you have to do it alone, start by fixing one corner, working your way through the middle to the opposite side. You never know Boy Scout training might as well pay off. How does the pelvic pillow work? Dear faithfully reader, you’ve made it this for and already have started to try out your pelvic pillow by know. Rest assure your body appreciates the effort you’ve put in thus for. Now it’s time to let you know what you get out of the exchange. Only then is it that you can attain a solid grasp off you pelvic pillow wielding it with its full potential. The following are how pelvic distortion affects your health causing unwanted weight gains. 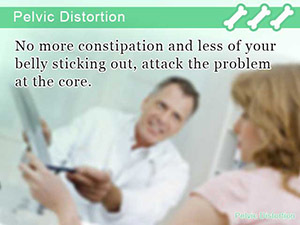 Pelvic distortion puts you in a condition that makes it easier to gain and harder to lose weight – you body in turmoil. By using a pelvic pillow, you can turn back pelvic distortion, eliminating what might be the reason behind your weight gain, making future diet and exercise efforts show better results than before. Not many diet and exercise programs can say that “Just by laying down for 5 minutes a day can you stop pelvic distortion in its tracks.” In fact, it has been found by many trying it out that after some time narrowing of the waist has been experienced. More importantly, it is key that you continue to practice every day for best results. Whether you are someone who is looking for a new ways to spend your time watching TV or exercise is just not your thing, then the pelvic pillow diet is right for you. Try it out, but if it doesn’t work out the way you expected at least you get your money back, if you catch my drift. Wink. Wink. 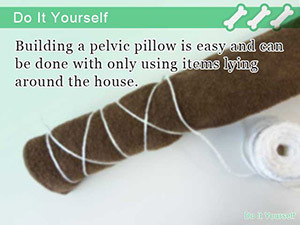 Building a pelvic pillow is easy and can be done with only using items lying around the house. Stop pelvic distortion only using a pillow you put together with towels and rope. No more constipation and less of your belly sticking out, attack the problem at the core.